Talk about resilient cities is tainting about the future especially for the most populated cities in Africa. 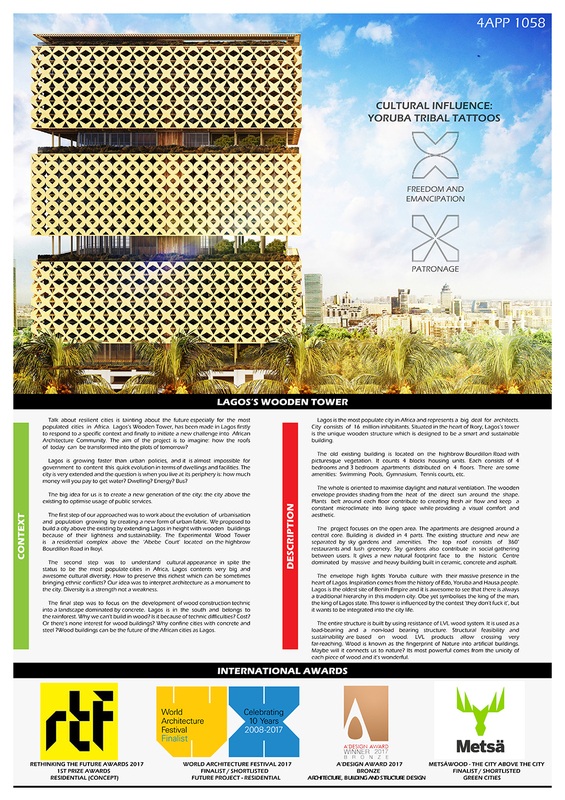 Lagos’s Wooden Tower, has been made in Lagos firstly to respond to a specific context and finally to initiate a new challenge into African Architecture Community. The aim of the project is to imagine: how the roofs of today can be transformed into the plots of tomorrow?